Most people haven’t made one decision that is truly theirs. Have you? It doesn’t matter who you are or what you do. You carry voices in your head, voices that are always talking to you. Some of the voices whisper, others shout. Some make logical arguments, others create dramas. Do you know the voices in your head? Do you know where they’ve come from and how they are controlling you? As soon as you meet a person, you begin to carry their voice with you. This starts with your parents, loved ones, hated ones, bosses, spouses, heroes, and everyone who is or was significant in your life. What do these voices want? They want you to live life their way. What about your freedom? Well, this book is about exactly that: exercising your freedom. 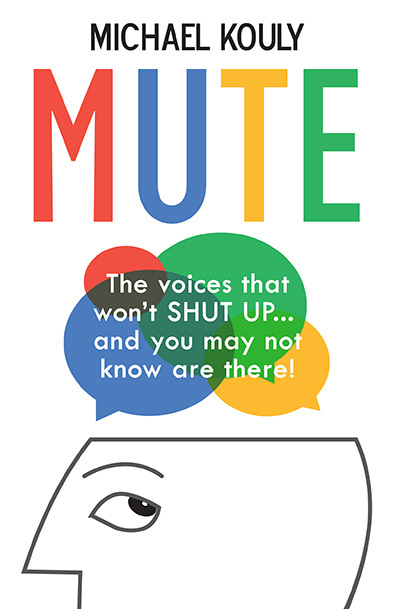 We will look at how you can willingly listen to the encouraging voices, and mute the negative ones. We want to give you the tools to live a happy, successful and fulfilling life that is aligned with your personal purpose and best self. Life is a blink. There is no time to waste living under the influence of negative voices. Read this book, share it with others, and learn how to lead a life of freedom and meaning so you can become a beautiful voice in the heads of those around you. 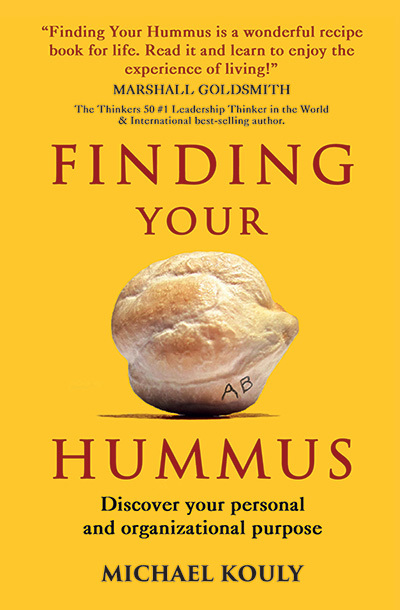 Finding Your Hummus is a metaphor for defining and actualizing personal and organizational purpose. This book will provide you, your colleagues, family and friends with transnational insights about life and business and will unleash your personal and organizational power in a fascinating way. – Shift happens in life and business, are you ready? 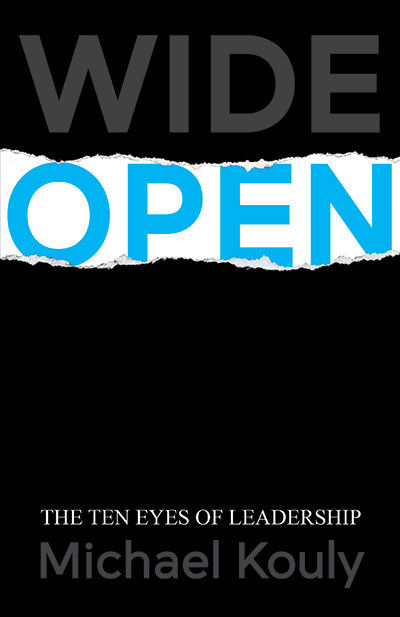 This book is about leadership in times of change. – Do you, your people and business have a guiding purpose? This book is about finding your calling.Do you have a personal and organizational strategy to fulfill your purpose? This book is about self awareness, self motivation and self leadership that together can achieve self fulfillment. – How do you deal with competition, conflict and confusion? This is a book of empowering inspirational quotes that generate strength and lead to self actualization. – What is the prime philosophy behind starting a business of growth and sustainable success? – What is the mindset to lead a life of resilience, abundance and significance? This book is about finding your passion and discovering your purpose to live a purpose driven life. Whether for an individual, a family, a business company, an organization, or a government, SURVIVAL is a challenge. This is more so in these times of increasing turbulence, uncertainty, change, competition, tension, conflict, and stress. The challenge is more significant when it comes to GROWTH because to expand your capacity and potential and to create progress; you need to capture opportunities and lead yourself and others skillfully. There can be no sustainable success and fulfillment in work, relationships and in life without exercising leadership that knows how to adapt, mobilize, solve problems, and overcome obstacles. Authority: You are surrounded by authority figures such as parents, bosses, CEOs, presidents, or governments. As you already know, not understanding how to deal with authority is risky. Enemies: Enemies are a fact of life. They could be passive or aggressive. Enemies want to undermine you and your acts of leadership. Not understanding how to deal with enemies is dangerous. Understanding Yourself and Others: It is hard to survive and grow and to lead yourself without understanding what drives your thoughts, feelings, words, actions, behaviors, dreams, and ambitions. It is impossible to lead others without understanding them first. Understanding Systems: We live and work in systems. A system can be a family, team, company, community, city, country or the world. Systems have their unique psychology and rules. Not understanding systems will put your existence and progress at risk, as you may be excluded or isolated from the group that you belong to. Leadership is a dangerous enterprise, but the rewards are valuable. This book is designed to be your companion in your thrilling journey of remarkable survival and outstanding growth. 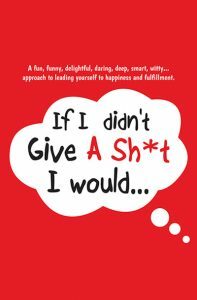 Should YOU give a Sh*t about this book? DEFINITELY YES! As you will discover, this entertaining book of insightful and witty humor is not like other self help books. Blow off steam: We all have personal issues, challenges, and obstacles that accumulate stress that must be released to keep us in a state of peak motivation. Know yourself: Sometimes an entire life is spent being stuck at the expense of personal, business, social and relational opportunities for success. Self-discovery is the first step to the healing, actualization, and optimization of your life. Reflect: Recognizing your priorities, what you really want and what matters most to you is the key to your growth in all aspects of your life. Decide: To solve problems and catch opportunities, decisions are needed. This book will help you decide and act to expand your potential in a fun, playful, smart and effective way. Lead: True leadership starts with the self where smart and effective strategy, action and execution are the keys to the growth of our capacity.